Elaborate, Emblematic Eggs in Stunning Silver! Intricate and Inventive Ukrainian Artwork Developed Over Millennia! A pysanka is, to put it simply, a beautifully crafted Ukrainian Easter egg. On a canvas of eggshell, artisans with a clear mind and good heart create designs written with beeswax using a stylus, also known as a kistka. Then, the egg is set in colored dye -- once the color takes hold, the wax is removed. What's left behind is the start of a striking work of art. The process continues until the pysanka is finished, each mark and color serving as a beautiful symbol of life, nature and harmony. It's a stunning process that has been perfected for thousands of years, predating the dawn of Christianity -- an aspect that is now an essential part of the pysanka tradition. A Unique Artform Brought to Life in 99.99% pure silver! 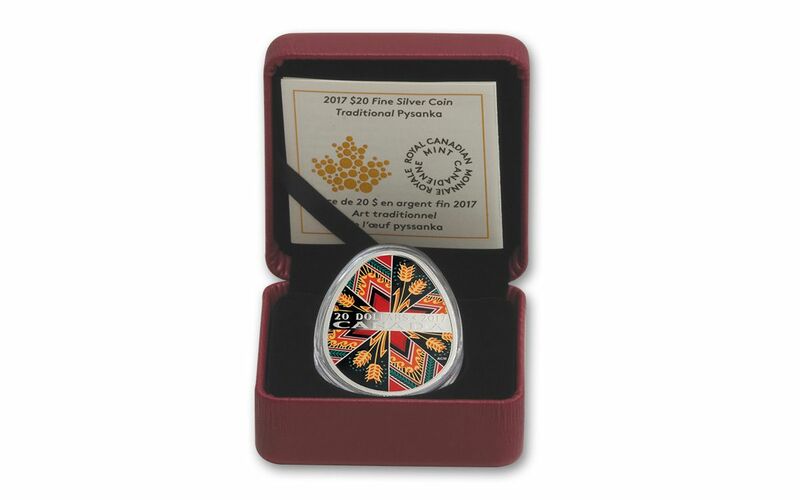 For the second year in a row, the Royal Canadian Mint has released a one ounce Traditional Pysanka Proof, celebrating the rich thread of Ukrainian heritage that ties over three million Canadians. 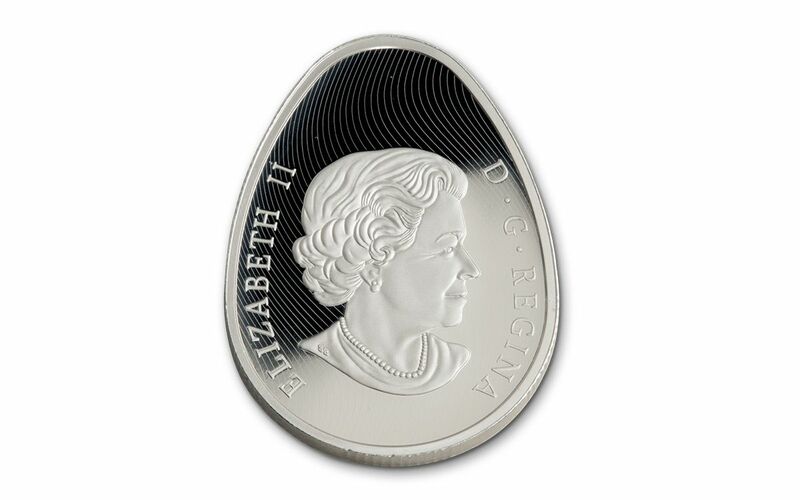 From one ounce of 99.99% pure silver, this legal tender 20 dollar Canadian coin begins as a polished blank. Struck multiple times to provide razor-sharp detail, Ann C. Morash's symbolic design is brought to vivid life using the mint's patented and proprietary colorization technology. 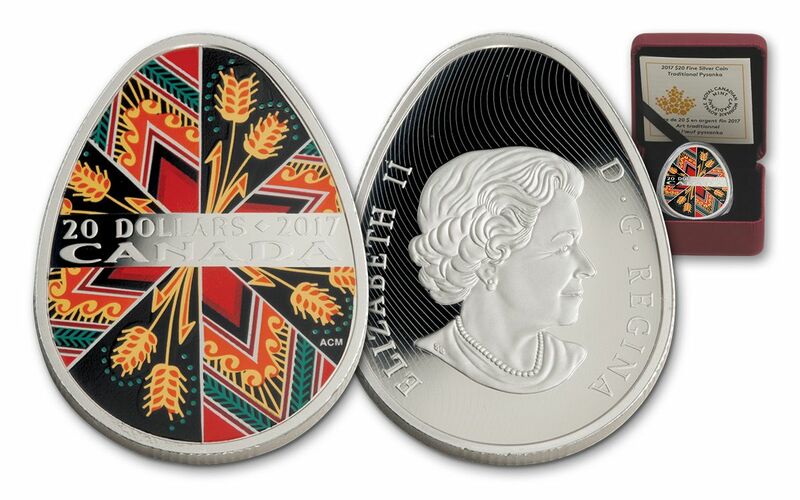 The result is a coin that symbolizes hope and serenity in gorgeous reverence, joined with Susanna Blunt's portrait of Her Majesty Queen Elizabeth II on the reverse. A National Numismatic Hit That's Already Sold Out at the Mint! When this series debuted in 2016, the initial run of 4,000 completely sold out at the mint. 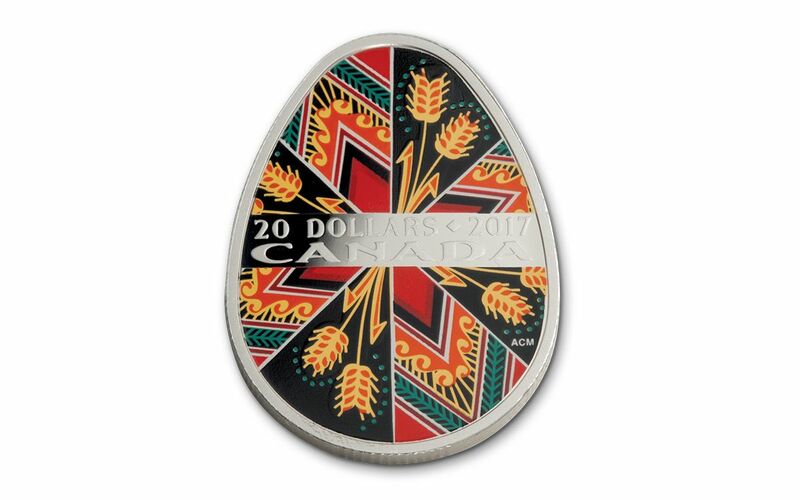 This 2017 Traditional Pysanka Proof is definitely following suit. Despite adding 1,000 more to this proof's mintage, this coin still sold out on the Royal Canadian Mint's website! Collectors across Canada and around the world are definitely searching out for this particular Easter egg. Fortunately, you've found it! Make it yours now and you'll receive this proof in the exact same condition as it left the mint, encased in an acrylic capsule inside a Royal Canadian Mint-branded case within a black beauty box. Bring one to your collection while we still have them in our vaults -- order yours now!